A handy hint for all those chilli lovers and hot sauce devotees – chocolate and chilli are a match made in heaven, as long as your taste buds are up to the challenge. Many chocolate producers are now releasing pre-packaged chilli chocolate onto supermarket shelves, but why not try dipping your favourite choccy treat into your hot sauce of choice? Can You Make Healthy and Tasty Chocolate Treats for Your Guests? Brides to be are constantly looking for ways to save money and cut the cost of their big day. Sometimes the careful planning and budgeting means you end up having a simple yet elegant wedding day. Though there is the danger that the excessive skimping results in a cheap and tacky wedding. And nothing says tacky like chocolate. Until now. If you love chocolate as much as your groom, you may be delighted to hear that you can make sophisticated chocolate treats from the comfort of your own home. Best of all, you can even make chocolate treats that are completely healthy and nutritious. Read more about Can You Make Healthy and Tasty Chocolate Treats for Your Guests? The perfect wedding is a thing of dreams; and who doesn’t dream of the bright summer sunshine beaming down on friends and family as they sip an exotic cocktail after a tear-jerking ceremony? Now that dream can be a reality following the launch of a vibrant range of vodkas that promise to create show-stopping cocktails that will keep your guests talking for months on end. With the tropical taste of mango, grapefruit, or pineapple tickling your taste buds, Cîroc vodka could well be the perfect ingredient to your dream wedding in the sun. A real girly pink, this American style whisked sponge cake is made with pureed strawberries and vegetable oil rather than butter so is light but still moist and moreish. You don’t need any fancy tins to make this, just 2, 20cm (8inch) springform tins that you can easily pick up from the supermarket. Cook’s tip: As this cake is quite involved, you might prefer to make the cake the day before then wrap in foil or make and fill the cake then chill overnight and just decorate with the frosting an hour or so before you want to serve it and keep it in the fridge. 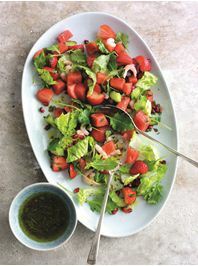 Seafood salad with strawberries recipe perfect for DIY Weddings. Quick to mix together, light, refreshing and low in calories. Plus this healthy salad is just bursting with health boosting antioxidants, vitamin C and protein to help keep you in tip top shape. Cook’s tip: Rather than adding prawns and mint this salad also tastes great with cubed goats cheese and chopped coriander. Deep filled vanilla custard tarts with buttery melt in the mouth pastry and dotted with juicy jewel like summery raspberries. 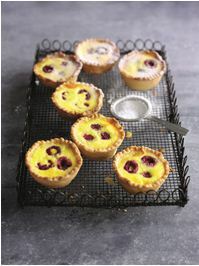 Cook’s tip: As small tart cases are a bit fiddly to make, why not make double the quantity if you have two muffin tins. Line both tins, chill and bake the tarts then freeze half of the plain tart cases, defrost and fill later for an easy dessert. You don’t need an ice cream machine for this middle eastern inspired ice cream. The crumbled halva adds a wonderful sweet hit balanced by the fresh fruity pieces of blackberry. Delicious served with fresh fruity blackberry sauce too. Don’t worry about washing the whisk between the whisking the egg whites, yolks, even the cream. It is only egg whites that will not whisk if a wet or sticky whisk is used but as these are whisked first it’s fine.